The story of Chateau Juvenal is one of simple elegance (rather like the wines). 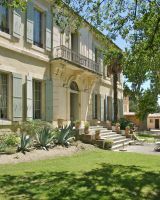 Anne-Marie and Bernard Forestier bought the beautiful chateau at the foot of Graveyron near the Dentelles du Montmirail in 2001 and set about restoring the property. They had been selling their grapes to the cave cooperative at nearby Beaumes-de-Venise as had Sebastian Alban, whose family vineyards are adjacent to those of Juvenal. In 2011, the two families decided to go it alone (or, rather, together) and, under the direction of Philippe Cambie (along with Xavier Vignon, one of the most respected consultants in the region) produced their first vintage to high acclaim from new cellars at Juvenal. 2012 was their second year of production and the first year with full organic certification. We were encouraged to have a look at the wines by a wine-enthusiast friend living in nearby Mazan and visited the estate twice as tourists before contacting Anne-Marie to arrange a meeting with all three members of the syndicate and what lovely people they proved to be; a truly joyful meeting. 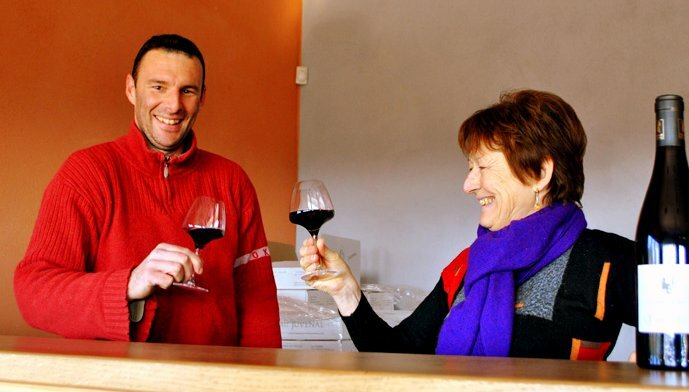 Anne-Marie and Bernard are the business brains behind the estate whilst Sebastian works the 35 hectares of vines and, given that all great wines are made in the vineyard, he is clearly doing a great job. The wines are impressive with more in common with the Northern Rhone and Burgundy than other wines from the region. The core of the range now comprises three red wines: 'Ribes du Vallat', meaning 'hill of the ditch', a Grenache-based wine that luxuriates in the mouth, 'Terre du Petit Homme' from parcels which, according to legend, were visited by a little man and his small black, truffle-hunting dog and, from 2015, a new 100% Grenache wine called 'Perseides', rich and complex as a Grand Cru Burgundy. The RdV label also includes a stunning white and lovely rose wine which sit alongside the reds exceptionally well and, from 2016 there is a gorgeously smooth red from nearby Beaumes-de-Venise to complete the line-up (for now).